In the state of Mississippi, only some records are kept on file at individual county offices. Chancery Clerks keep track of records for subjects like property, adoptions, divorces, etc, while the State Dept of Health has a Vital Records Division that handles personal vital records, namely birth, death, and marriage. 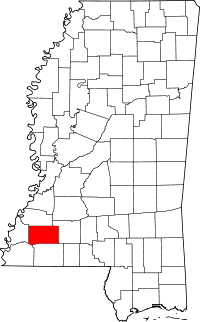 Franklin County has the Chancery Clerk's office located in Meadville, MS, while the Health Dept's Vital Records Division is in the state capitol, Jackson. Both offices accept visits in person from those who wish to do some research and check the public records, and both are also in charge of distributing copies of the records they respectively handle. For additional research purposes, the Franklin County Historical Society operates a genealogical library that is open all year but has expanded hours during the winter. They will also perform research for those who are unable to themselves at a fee of $20 per hour.